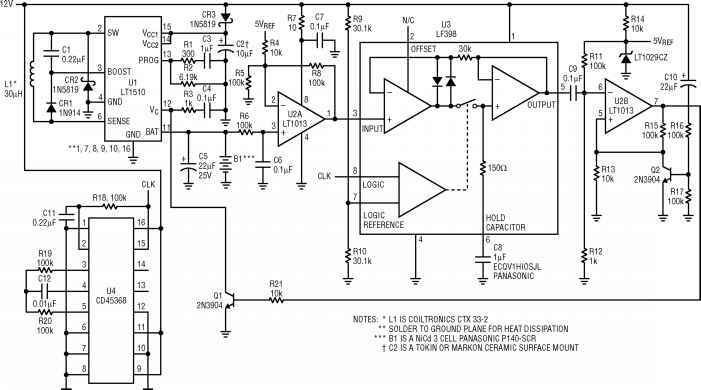 Wideband tuning circuits, such as those used in cable television systems, require a power supply for driving a varactor. 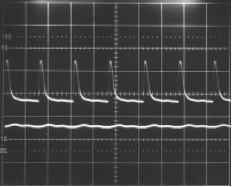 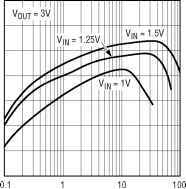 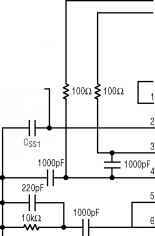 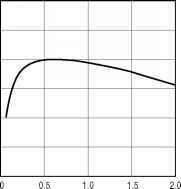 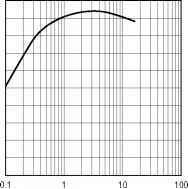 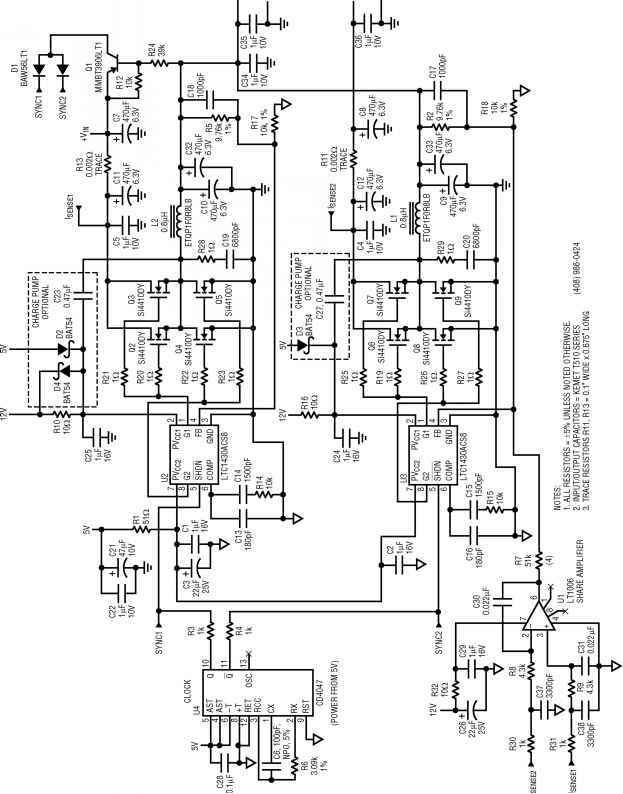 This bias supply is usually at a voltage higher than the system supply voltage, allowing a large tuning range. 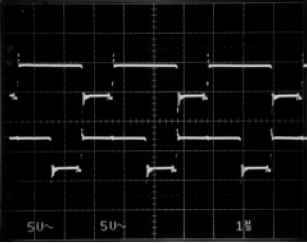 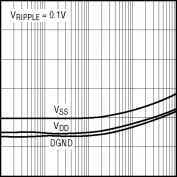 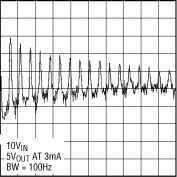 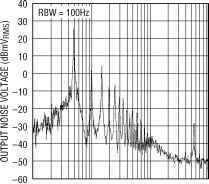 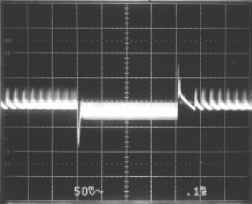 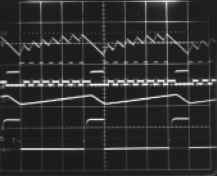 The supply must have very little noise voltage ripple, for example, can appear as sidebands on a local oscillator. 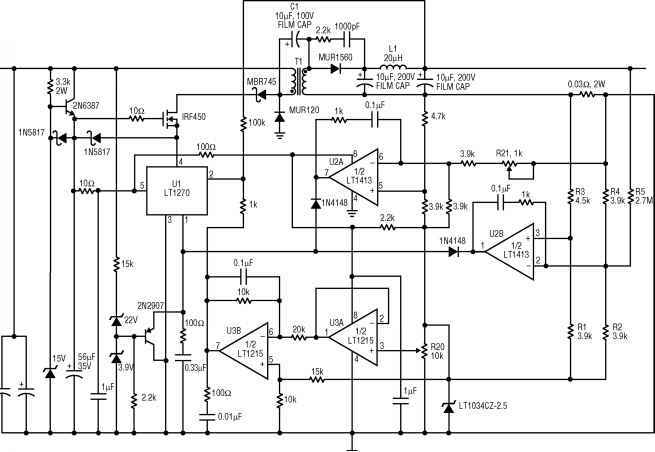 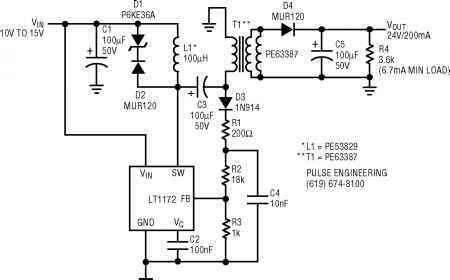 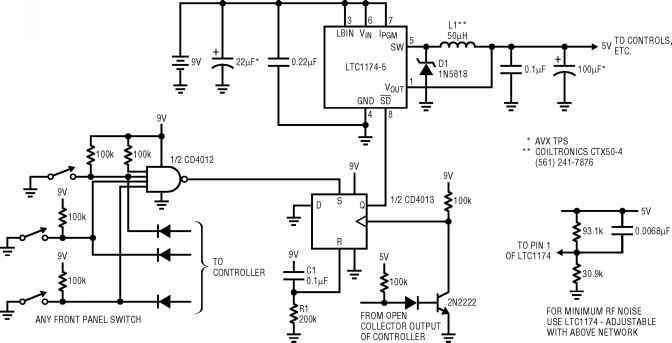 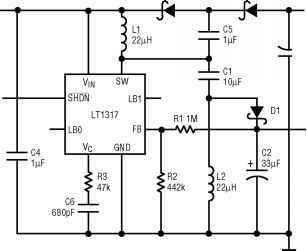 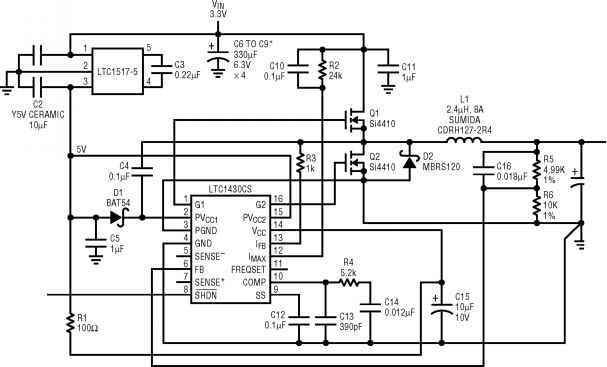 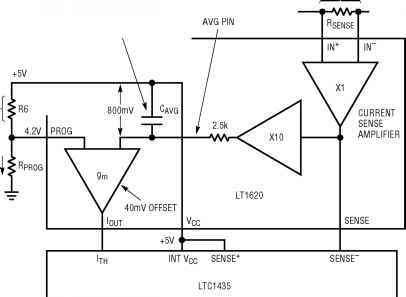 This circuit takes advantage of the fixed operating frequency of the LT1317B boost regulator to generate a low noise 33V bias voltage. 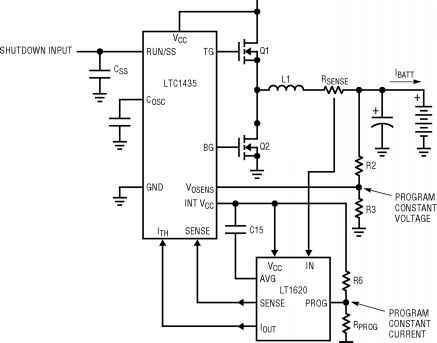 If you're designing a system that interfaces to telecom equipment, chances are you'll need a -48V supply. 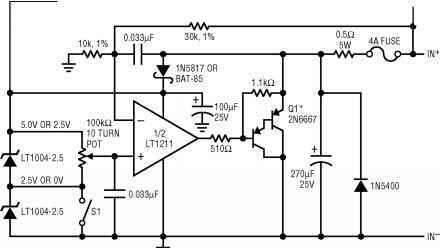 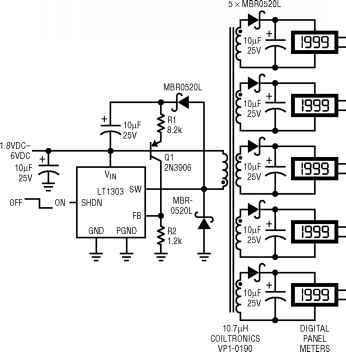 The circuit in Figure 111 supplies up to 6W at -48V and scales to more than 12W with higher power components. 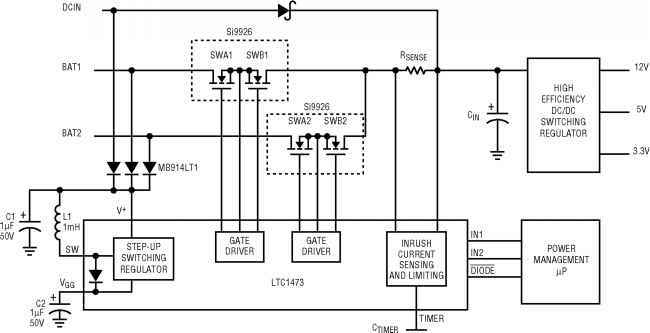 Based on the inverting topology, the converter exhibits excellent efficiency over a wide range of loading conditions (see Figure 112). 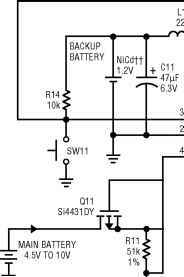 The circuit in Figure 57 is intended for input voltages below 4.5V, making it ideal for single Li-Ion battery applications. 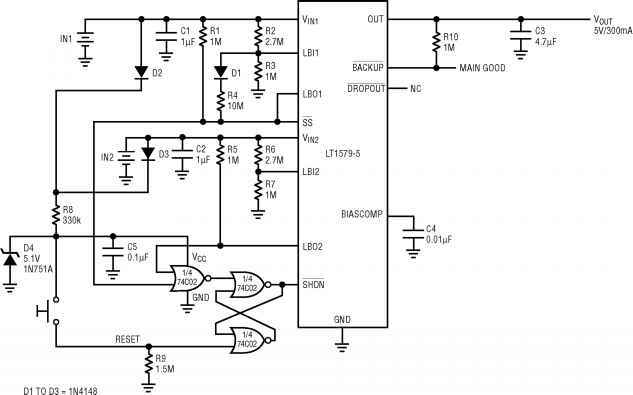 Diodes D1 and D2 and capacitors C1 and C2 comprise the bootstrapped charge pump to realize a negative supply at the VDR pin, the return pin for the top P-channel MOSFET driver. 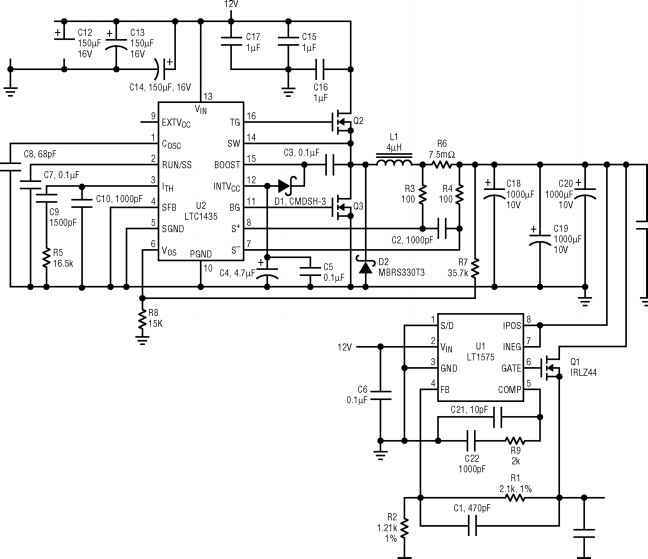 This allows Figure 57's circuit to maintain low switch RDs(oN) all the way down to the UVLO trip voltage.